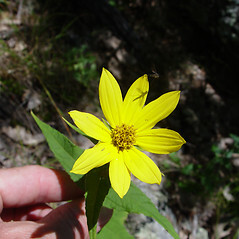 Woodland sunflower is one of the species that the endangered Karner blue butterfly (Lycaeides melissa samuelis) often chooses as a nectar plant. 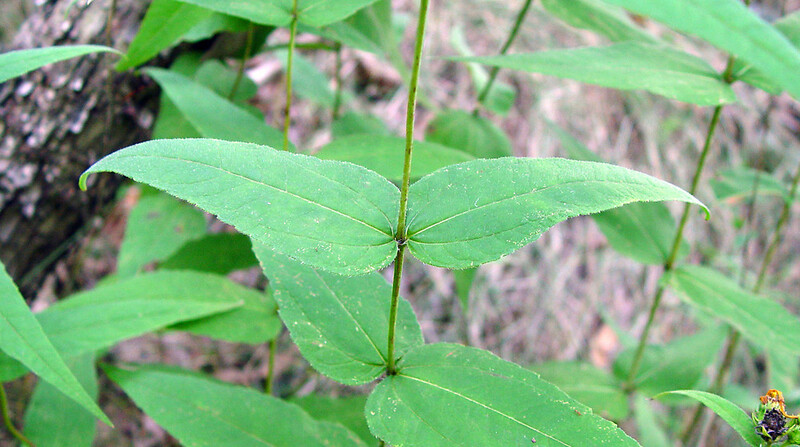 The butterfly's caterpillars feed exclusively on sundial lupine (Lupinus perennis). 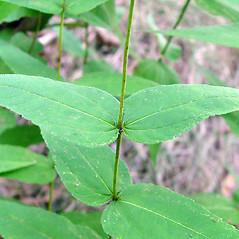 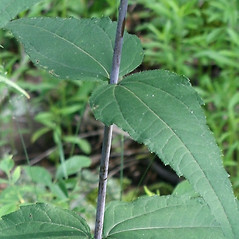 well-developed leaves with petioles 0-12 mm long, with cuneate bases, and capitula with 12-20 ray flowers (vs. H. divaricatus, with well-developed leaves sessile, with rounded to cordate bases, and capitula with 8-12 ray flowers). 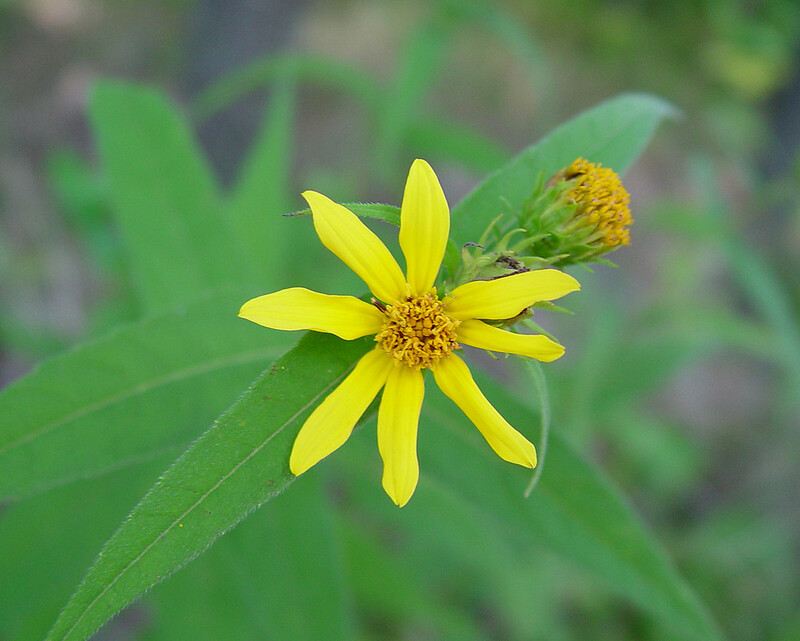 woodland sunflower. 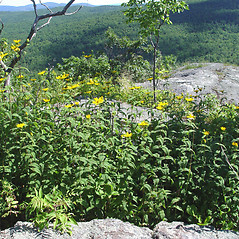 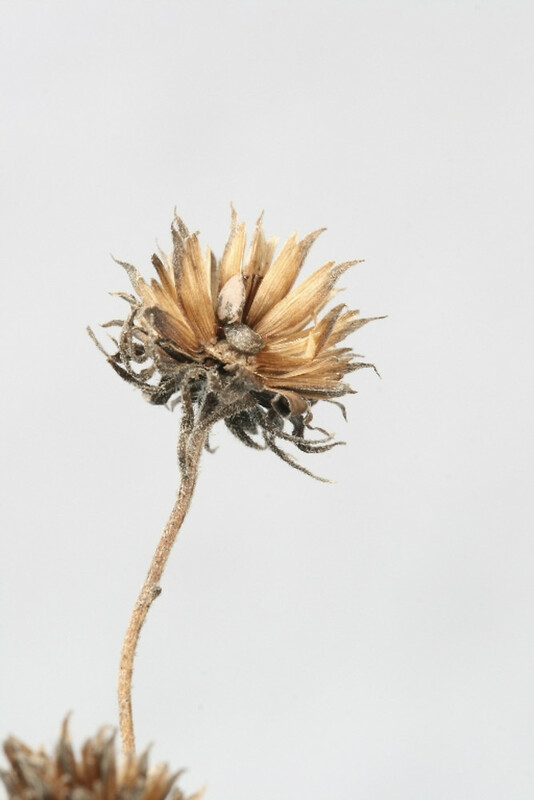 Helianthus divaricatus L. var. 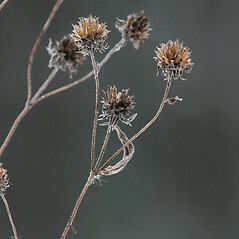 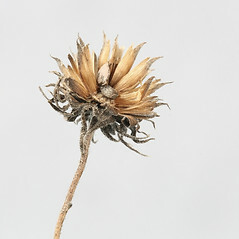 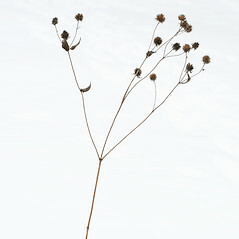 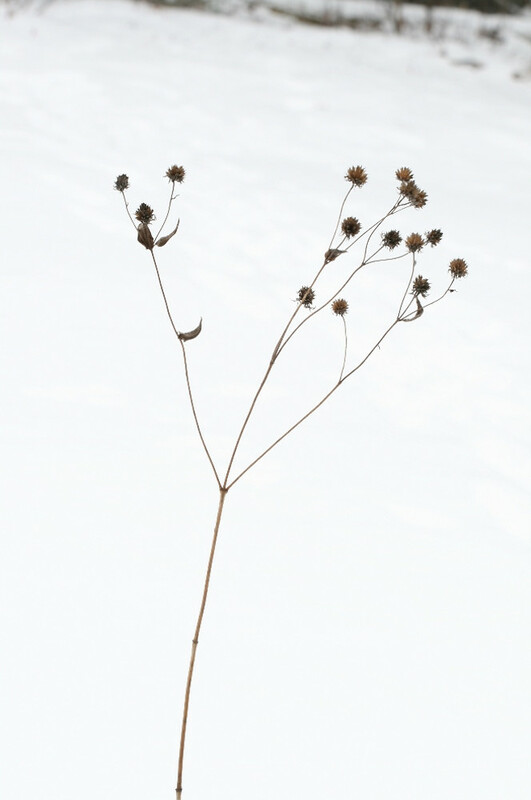 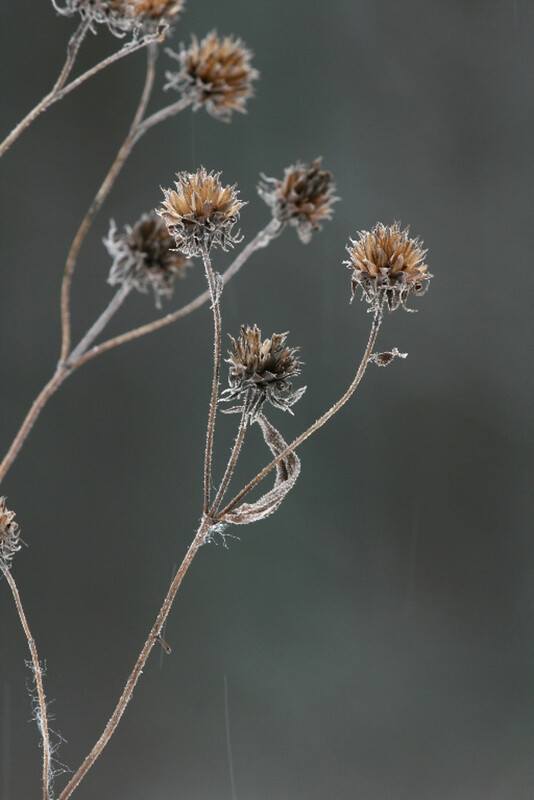 angustifolius Kuntze • CT, MA, ME, NH, RI, VT. Woodlands, forest edges, dry fields and glades. 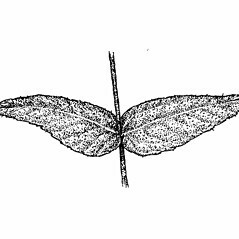 4×6. 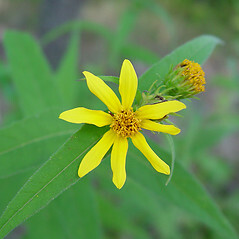 Helianthus divaricatus × Helianthus grosseserratus → Helianthus ×‌divariserratus R.W. 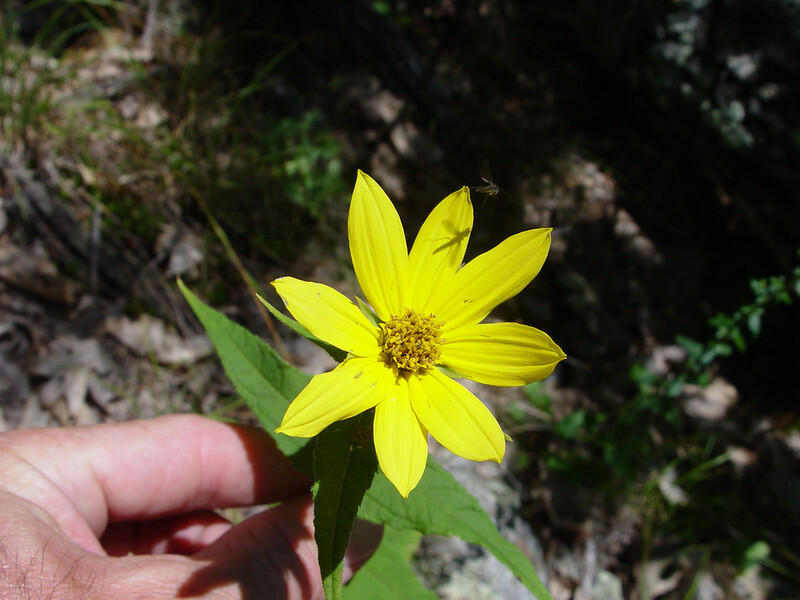 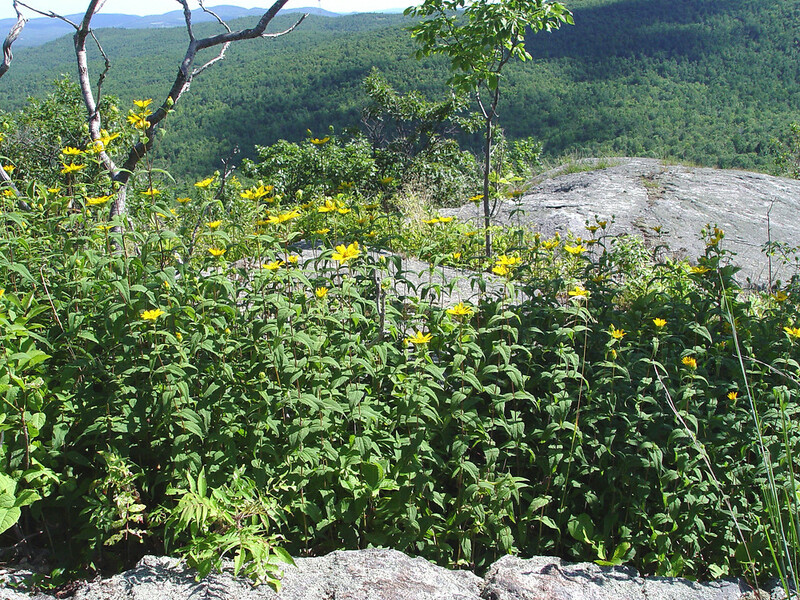 Long is an extremely rare sunflower hybrid in New England known from CT. 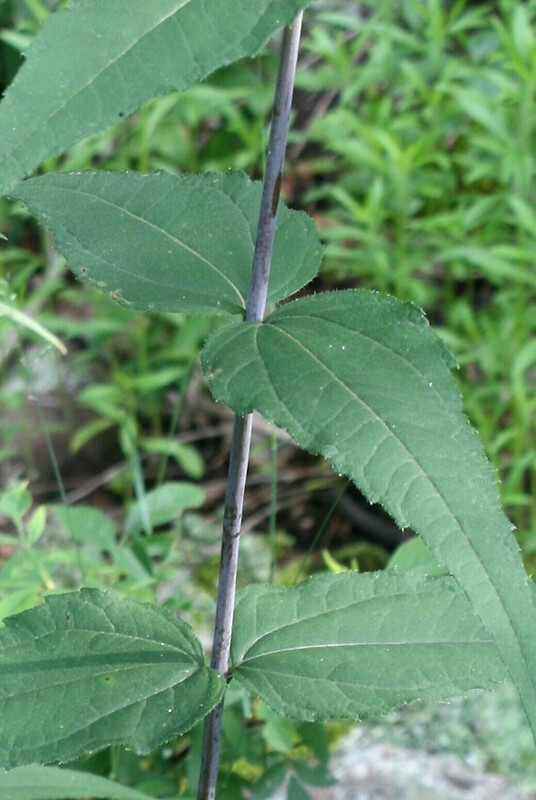 It has a glabrous and glaucous stem bearing opposite leaves that are triple-veined (those of H. grosseserratus are pinnately veined), rounded at the base, and borne on short petioles 5–10 mm long (those of H. divaricatus truncate to broadly rounded at the base and sessile). 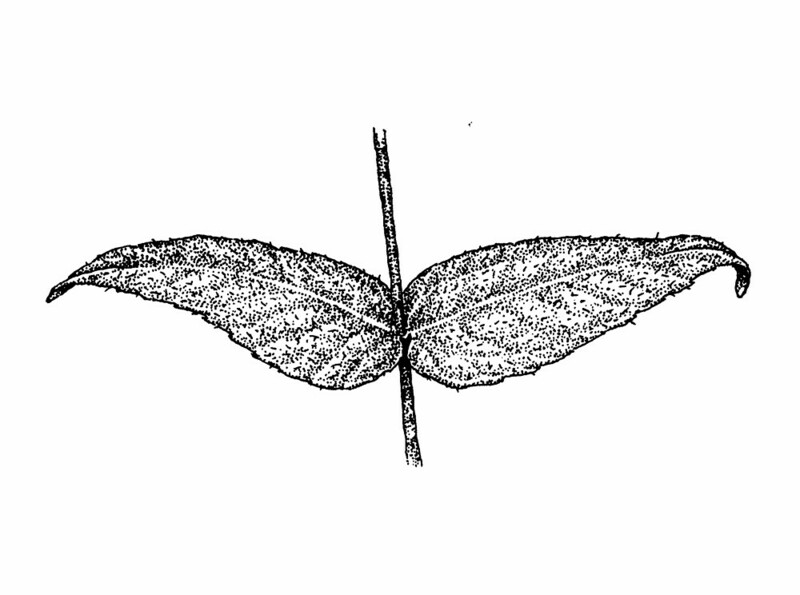 The involucral bracts are 10–15 mm long (6–12 mm long in H. divaricatus, 10–14 mm long in H. grosseserratus).